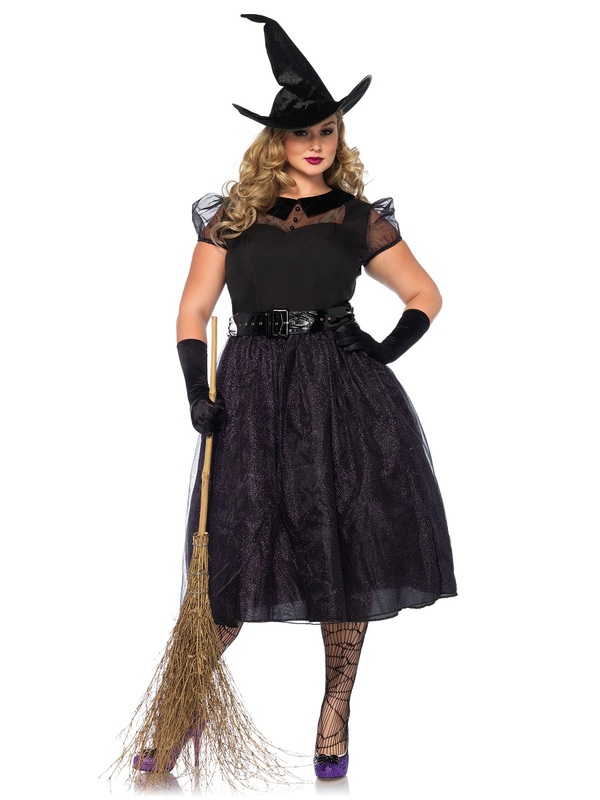 Look Truly Bewitching this Halloween in our Adult Plus Size Darling Spellcaster Costume! 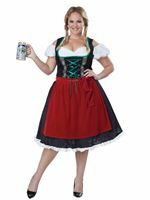 Upgrade your Witch Outfit this October to Something a Little More Magical with our Adult Darling Plus Size Spellcaster Witch Costume! 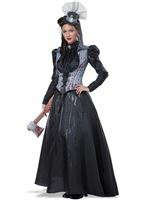 The Costume comes complete with the Black Vintage Dress featuring an Organza and Velvet Collared Bodice along with Matching Sleeves and Sheer Glitter Overlay on the Skirt which Sits Below the Knee. Completing the Look is the Wide Buckled Belt and Matching Pointed Witch Hat. 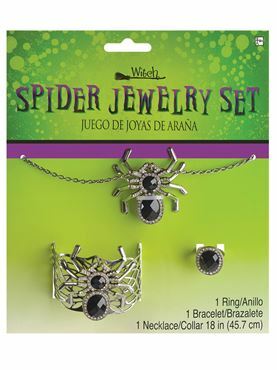 1X/2X 16 - 18 42'' - 44'' 36'' - 38'' 45"
3X/4X 18 - 20 46'' - 48'' 40'' - 42'' 46"